The 6th National LGBTQ Health Conference is an interdisciplinary forum that provides an opportunity for presentation and discussion of current health research and programs for LGBTQ adults and adolescents with the overall goal of addressing health inequities for this highly impacted group. Bringing together scientists, public health professionals, and healthcare providers from across the country to improve the health and well-being of LGBTQ populations, this is the nation's largest research and practice-focused LGBTQ health conference. 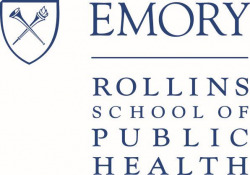 After five successful years in Chicago, the conference is proud to partner with Emory University and move to Atlanta, GA, for 2019.